I have a long list of locations in Edinburgh for family photographs, and last weekend I found a new perfect spot. Somewhere only about 15 minutes’ drive away from me that I think will be absolutely perfect for family photography in Edinburgh, and boy was I excited! To get away from streets, buildings, pavements, houses, cars. Because I like that. I like that very, very much. I’m not really a city person. And that’s why you’ll see that most of my images have trees, fields, sky, or hills in them as backgrounds. Now, if you’re wanting edgy, urban, “street” photographs, I’m probably not the photographer for you. Draping people artfully against stone walls or arranging their feet on concrete isn’t my thing. However, I do venture into the very centre of town now and again to photograph clients, as you can see from this session I did for one of Edinburgh’s premier bagpipers, but where I’m happiest is in the sticks. We have great sticks in Edinburgh! If you didn’t recognise the monuments at the top of Calton Hill, you’d never know this was taken slap, bang, in the middle of a city, now, would you? It’s certainly in the middle of town, but you’re far away from the streets and the houses up there. Lauriston Castle, in Edinburgh – trees, fields, parkland, woods, grass … Beautiful! Lauriston Castle in Cramond is currently one of my favourite locations, and that’s in Edinburgh too, but it’s so quiet there you feel as if you’re in the countryside. There are just so many great places to go here! 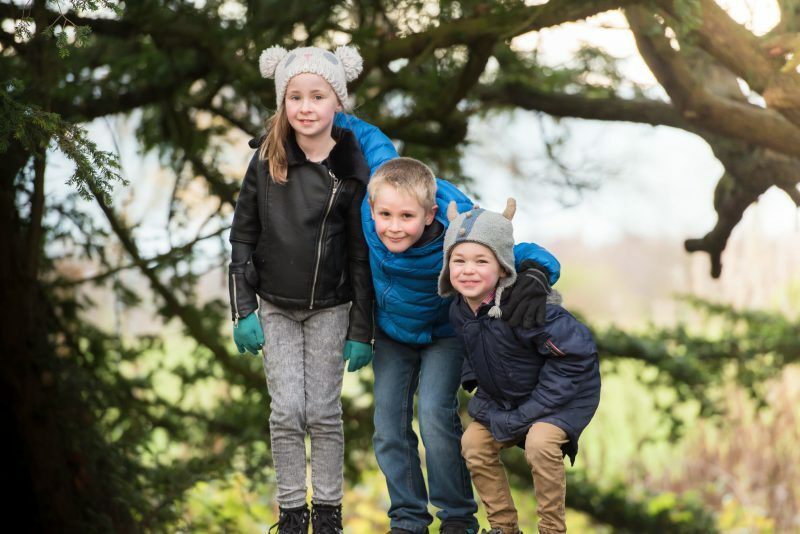 And it’s SO important that when you go to a professional photographer for your family or children’s photographs, you choose a location that reflects your family and the kind of things you all like. What sort of places are you happiest hanging out in? Think about the things that inspire you, consider places that are personally very meaningful, or the things you like doing or the places you like going in your spare time. Is your normal Saturday routine to go and have lunch out somewhere? Or do you love to go for early morning walks with the dog? That’s what your session should be about. Or perhaps you prefer the beach down in East Lothian, or riding your bikes, or a picnic up Arthur’s Seat? Or even playing with the children in your back garden? Let’s go for it! Some locations suit different types of photography sessions, however. For example, if you’ve got wee children, we’ll probably need somewhere with loads of space for them to run about and go daft, and interesting things for them to look at and play on to keep boredom from setting in. Big parks or trips to the beach are great for this, but if you have a very young child who can’t yet walk an in-home session could be just the thing. And if it’s just your and your other half, or perhaps you and other adults or older children, there are loads more options. I’ve got plenty of great locations I can suggest we go to, but your photography session is about YOU. So if there’s somewhere particular you have in mind, let me know, yes? And we’ll talk about how we can create something beautiful and unique to you. Or perhaps you’d like to try out the new location I’ve just found, the one in my video? Tell me on Facebook, do you think it would be a place you’d like to go, either for photographs or maybe simply just to walk your dog or take the children? What do you think of it? Previous Post Top 10 things to do in Edinburgh in autumn Next Post How to get your children to smile in photographs – banish the death stares!